This morning we had a most amazing experience. 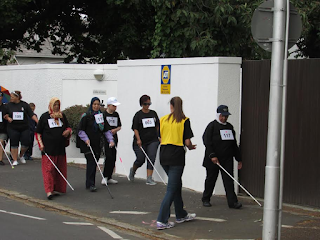 We had been asked, ZS1ACD, Henk my husband, and myself (ZS1TOX) to do radio comms for the long cane rally, an event which takes place every second year, where blind people of all ages take part in a long walk. This year it took place on Rondebosch common, where a tarred track runs right around the common an absolute beautiful venue which is used to the full by the Cape Town public. Four radio amateurs were placed on the corners to see to the safety of the participants. We assisted other volunteer marshals who called upon us to radio in emergencies or other assistance required from the organisers. For instance a number of elderly folk needed to be picked up through sheer exhaustion, by the medical team in their mini bus. Pionierskool - Worcester, Western Cape The School for the Blind was established in 1881. Bob, a retired mechanical engineer enjoys the technical aspects of the couple’s hobby but Cathy says she isn’t that interested in how to build a radio or set up an antenna. “I like talking to different people,” says AJ7CA. The thing about ham radio, which allows users to communicate on designated radio frequencies, is that it appeals to people with all sorts of interests, whether it’s engineering radio set-ups or learning Morse Code. “If you like a particular thing to do in ham radio, you form a group,” says Cathi, who, with Bob, is was one of the organizers for summer’s Utah Hamfest. Once she decided to become a ham, Cathi earned her amateur advanced license. She also completed the Worked All States award, which requires making contact with a radio operator in each of the 50 states. The all-states project was something the couple’s sons, Matthew and Brian, also took part in. Later, Brian got his ham license too. Ham operators throughout the world have been credited with providing vital assistance during catastrophes like Hurricanes or earthquakes. Although the Andersons fortunately haven’t faced any emergency situations in their own home town, they say it’s a good feeling to know their radio skills could be useful if needed. 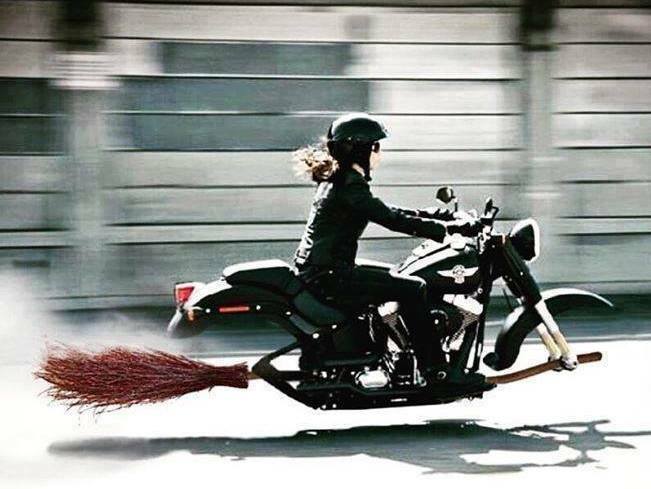 JOTA seems to have been well supported this year judging from Facebook pictures and the Witches-on-the-Air event drew responses from Canada, Brasil, Australia and New Zealand. Hope the Portuguese ladies made lots of QSO's? Perhaps next year we'll be more prepared, propagation will improve and more of us will be able to join. Over the last couple of months my OM Graeme ZL2APV and his friend Peter VK3RV have been using a new form of communication called Digital Voice Radio. Jenny VK5ANW is Peter’s VK3RV partner and a very active ALARA member for many years. The mode is known as FreeDV and it is free. It is not a Hi Fi system but a software addition to your HF radios. The code for this system was developed by 3 hams, David Witten KD0EAG, Francesco Lanza HB9TLK and Peter Martinez G3PLX and available to all licensed amateurs to use. You can download the software to your computer from www.freedv.org and its available for windows, Linux or OSX. You use it with your existing HF radio as you would other digital modes. It is mainly used on 20 & 40 metres but can be used on all bands. One of the big advantaged of this mode of radio is the fact it can be used where electrical noise is a major problem in your area. This is especially noticeable in high density suburbs. A freeDV signal would compare with a Skype or echo-link QSO where it is either there or it isn't. This difference being this signal is sent over the air instead of the internet. At the point where it is dropping out, snatches of speech occur. Compared to SSB it requires a stronger signal generally to lock into clear speech. 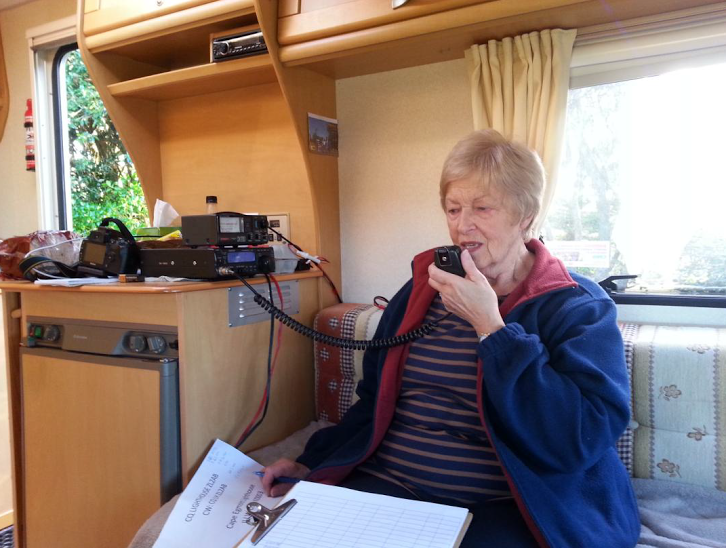 Last month I had the opportunity to make contact with Jenny VK3WQ, and as far as we know we were the first Yl's to make contact on this mode between Australia and New Zealand. Silent key: The key of the world's longest-reigning monarch, King Bhumibol Adulyadej, HS1A, of Thailand went silent on Thursday 13 October 2016 aged 88 in a hospital in Bangkok. He ascended to the throne on 9 June 1946. Awarded the call-sign HS1A during August 1989. Five years later, in November 1994, His Majesty placed RAST (Radio Amateur Society Thailand) under his royal patronage. Government agencies throughout Thailand will fly flags at half-mast for 30 days following the King’s death and government officials will wear black in mourning for a year. The ARDF Championships which had been planned for November 5-6 at Nong Prue near Pattaya have been postponed to the weekend of January 28-29, 2017 to respect the passing of the King. The Thai radio society offered the country's first Advance Class license examination in June. 2016 Although Advanced level licenses have been permitted since 1987, no Advanced exam existed. The only holder of an Advanced level license in Thailand was the King of Thailand, who received his ticket in the 1980s. 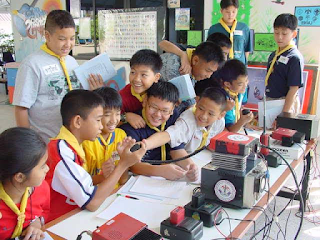 The Southeast Asia Net (SEANET) activated by the members of RAST, Thailand's national amateur radio society. Thai net control station invites stations to check into SEANET from across the South-east Asian region on 14.320 MHz from 12.00z (7 p.m. in Bangkok and Jakarta) onwards. Conducted twice a week, every Monday and Friday, Amateur radio stations anywhere in the world are welcome to check into SEANET, whose main role is to be on standby to handle any medical or emergency traffic. In the past SEANET has helped sailors and crew members on yachts in distress while also serving as a guide to propagation conditions and being a meeting point for hams in the region where they can meet friends before QSYing away from the net frequency for a QSO. SEANET began operating on 14.320 MHz in late 1963 and the first SEANET Convention was held in Penang in 1971. Realising that Hams comes to know one another only by voice, the SEANET group decided that they should meet, face to face. SEANET Conventions were the result. Since then the convention has been an annual event while the net had been manned by volunteer net control stations from around the region. Net activity declined and no longer meets as regularly and this initiative by RAST hopes to redress this by conducting the net at least twice a week. The 44th SEANET Convention will held on 18th - 21st November 2016 at Pattaya, Thailand. Pattaya is a popular beach resort on the Gulf of Thailand just 150 km. south-east of Bangkok. HAM RADIO CONVENTION 2016 On November 5th 2016 from 9.30-17.00 in the Americahal in Apeldoorn, The Netherlands 56th Ham Radio Convention will again take place. Organiser is VERON, the Dutch radio society. Besides the official part, “the Radio Amateur of the year 2015” supported by the Scientific Radiofonds Veder will be nominated and several lectures will be given. 6th and 7th of November, the sixth edition of the event previously known as 'Dia Nacional do AM em Portugal' (National Day of AM in Portugal). 80m, 40m, 20m, 10m, 6m and 2m between 08AM UTC Saturday Nov 5 until 11:59PM UTC Sunday Nov 6. Radio Club Argentina invites all amateur operators and clubs to participate in their annual event on Saturday 12 November 2016. started in 2009, and now in its 8th year, this event which is not a contest but a fun event, encouraging operators to set up a radio-station, individually or as a club, for the purpose of enjoying our hobby in or near railway stations. Some of these historial locations some are still operational many not. Objective? To contact as many of the railway stations that are taking part. All licensed modes and bands may be used, with emphasis on 80m and 40m SSB. After the round, all listeners and OM's are invited to confirm traffic. All YL's, from other ADL`s (Austrian District Locator) and other organizations are welcome to join. Although there are other women deserving recognition, we have chosen to focus on these 10 who are leaders in their fields. All radio amateurs from Chile plus international operators, Clubs and SWL's are encouraged to participate in the earning of points. Activate 10 Chilean lady operators to qualify for the Galvano"Mujeres de Chile 2016" diploma. Special QSLs will be issued by the activating stations. Each operating station will represent one of the 10 ladies honoured during this operation. Dates: 19-20, and 26-27 November 2016, on 40m Band, SSB. call-sign and RST of official station, including the name of the woman being honoured. Paper logs will be accepted until 18 December, 2016, according to postmark. 5 Nov Brasil – Dia Nacional do Radioamador (Day of Radio Amateurs).